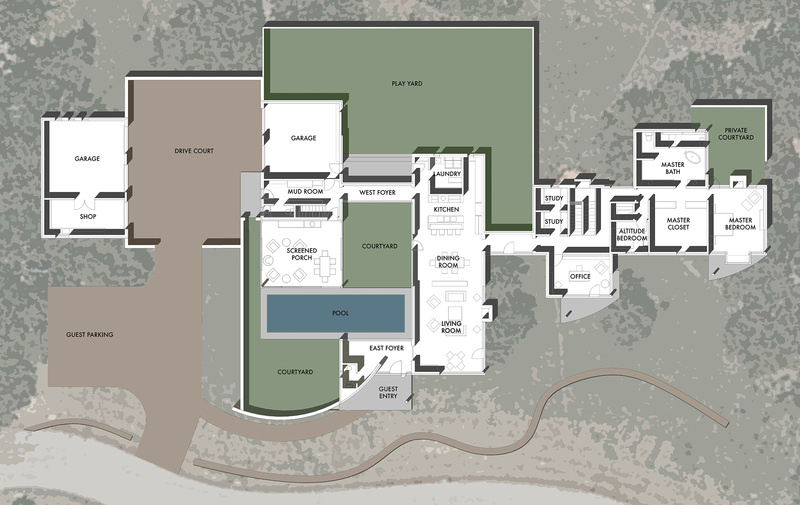 This home, located in a small development on former ranch land, was designed to create a series of buildings that evoke the ad hoc composition of rural properties. 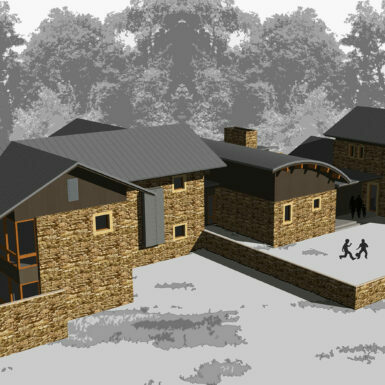 The challenge was to maintain the feeling of buildings built over time, while being very deliberate in assembling the 8,000 square feet of programmed spaces into a highly-functional layout for an energetic and busy family. 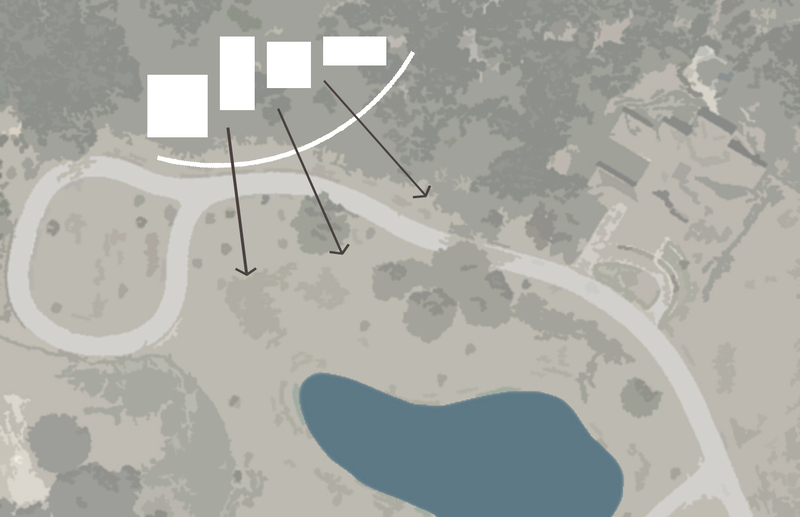 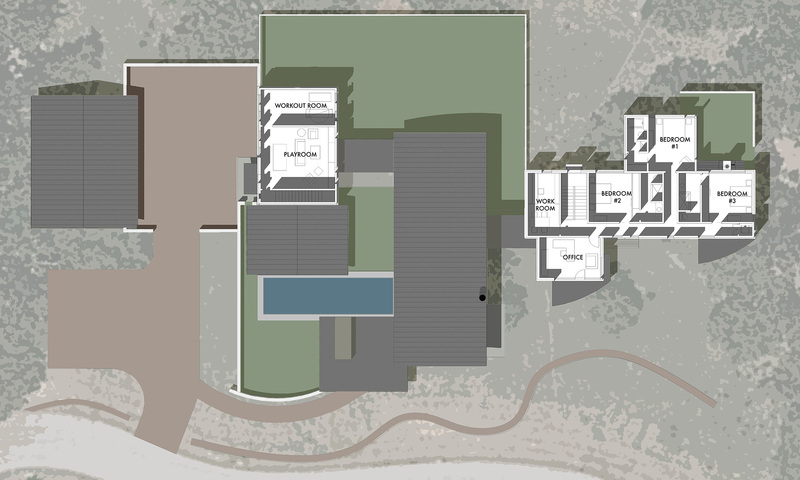 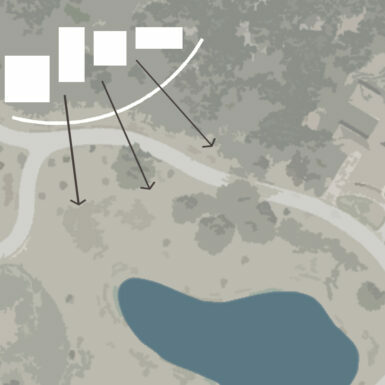 Important spaces were located and organized to have views of the adjacent pond. 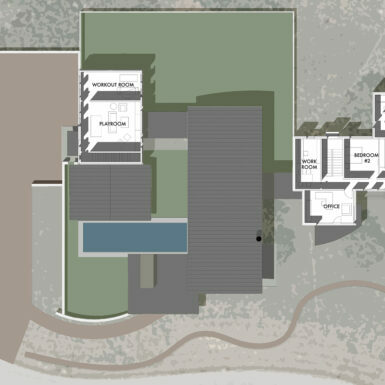 Courtyards and play spaces were carefully created within the building volumes to to allow most of the open space on the site to remain in its natural form. 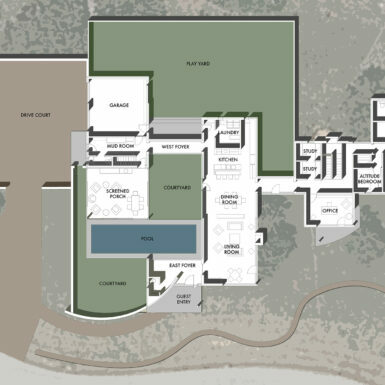 The owner also requested that the design address solar orientation for future photo-voltaic panels and that accommodations be made for future rain-water harvesting. 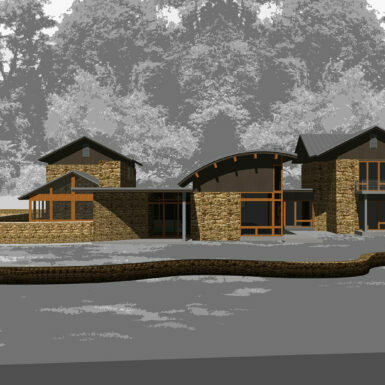 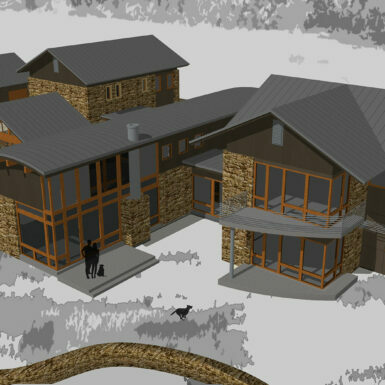 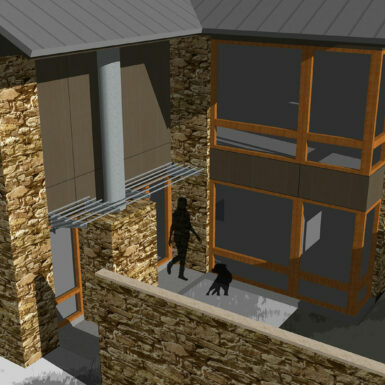 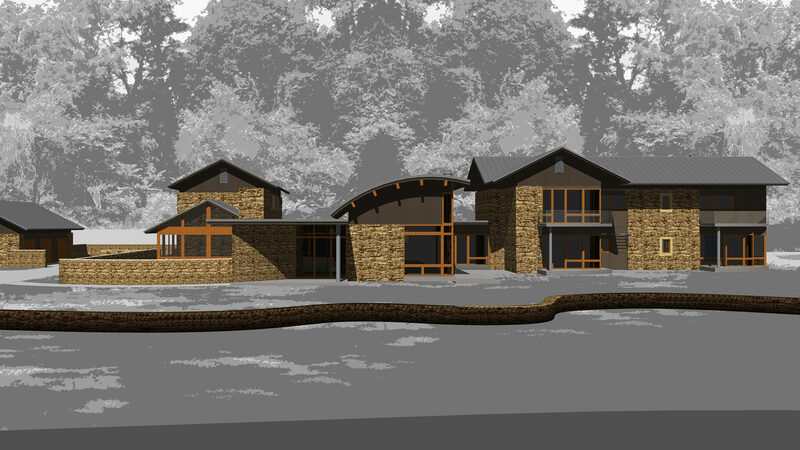 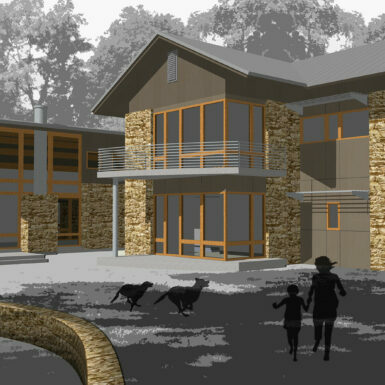 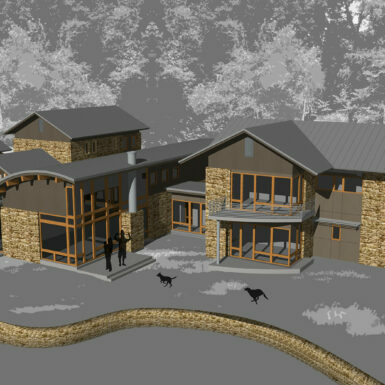 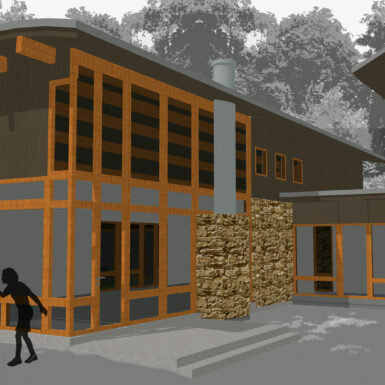 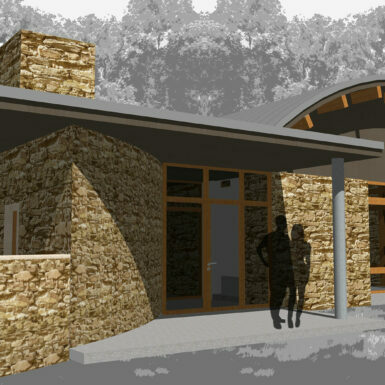 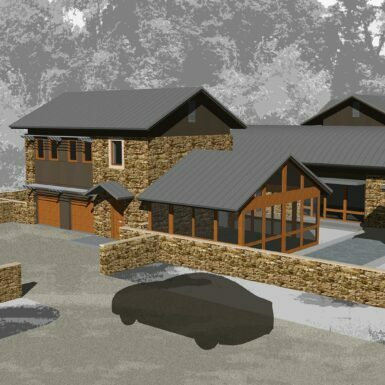 Besides evoking a rural character, the client requested that the forms and materials of the home blend their love of contemporary western mountain architecture with their interest in expressive forms and structural elements.